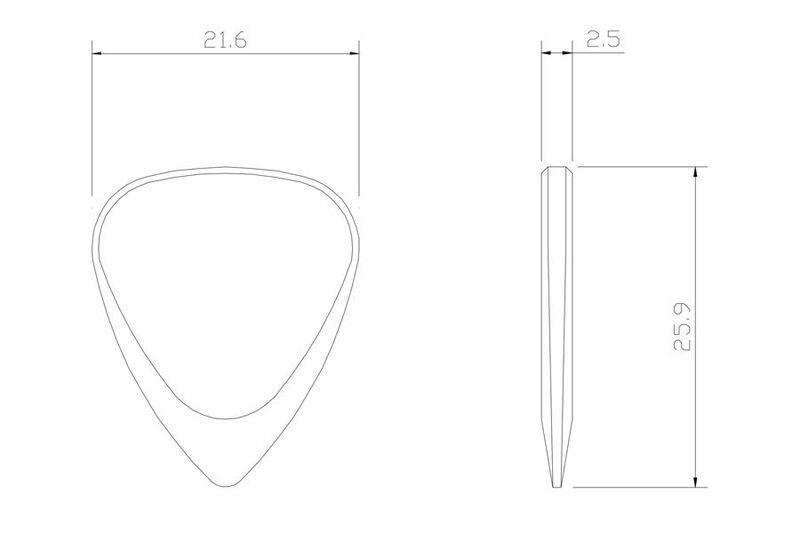 Inlay Tones Mini are designed around the Jazz III shape. They are CNC milled from solid Billet and polished to precise tolerances. 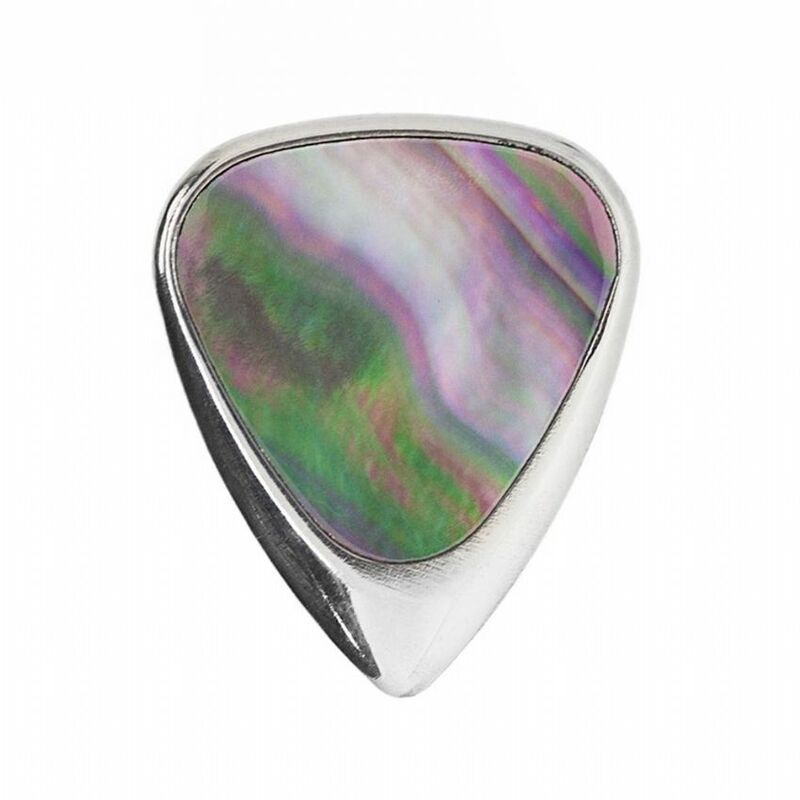 We have then inlaid a slice of beautiful Black Mother of Pearl on one side for some extra luxury! 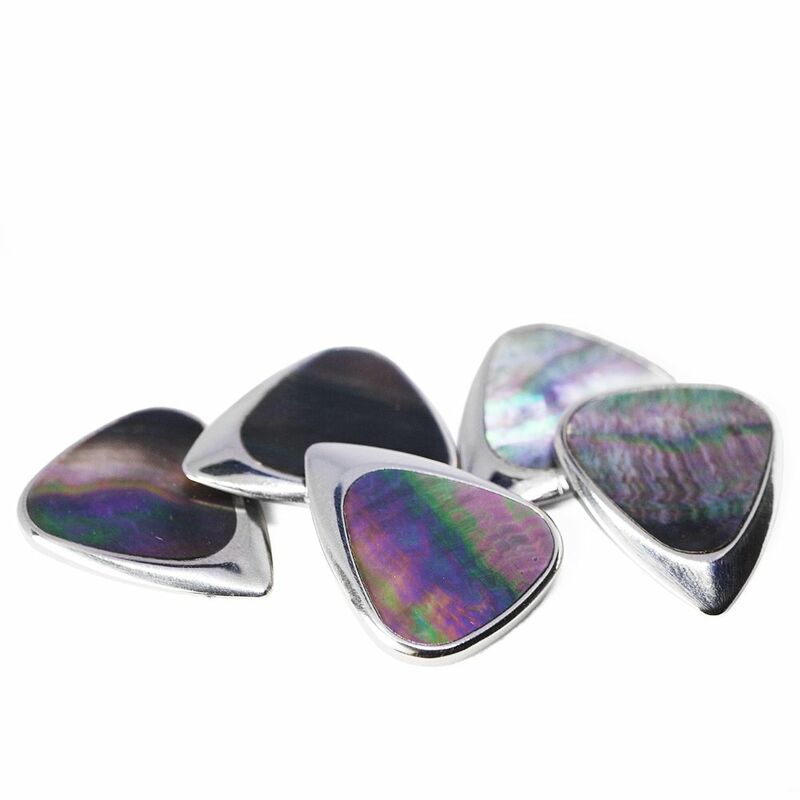 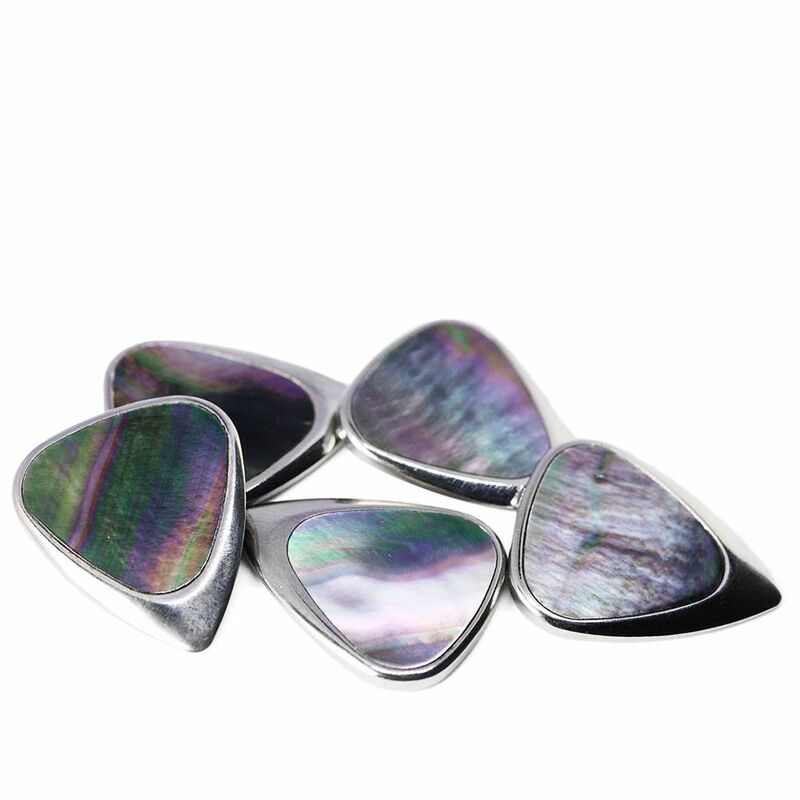 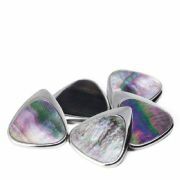 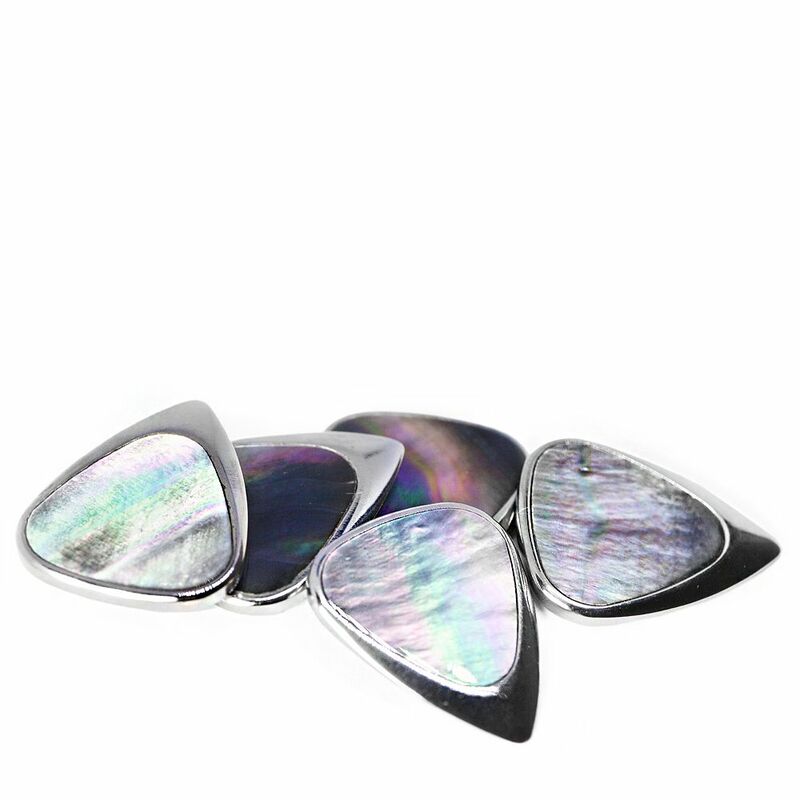 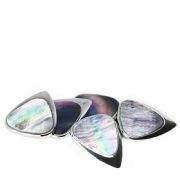 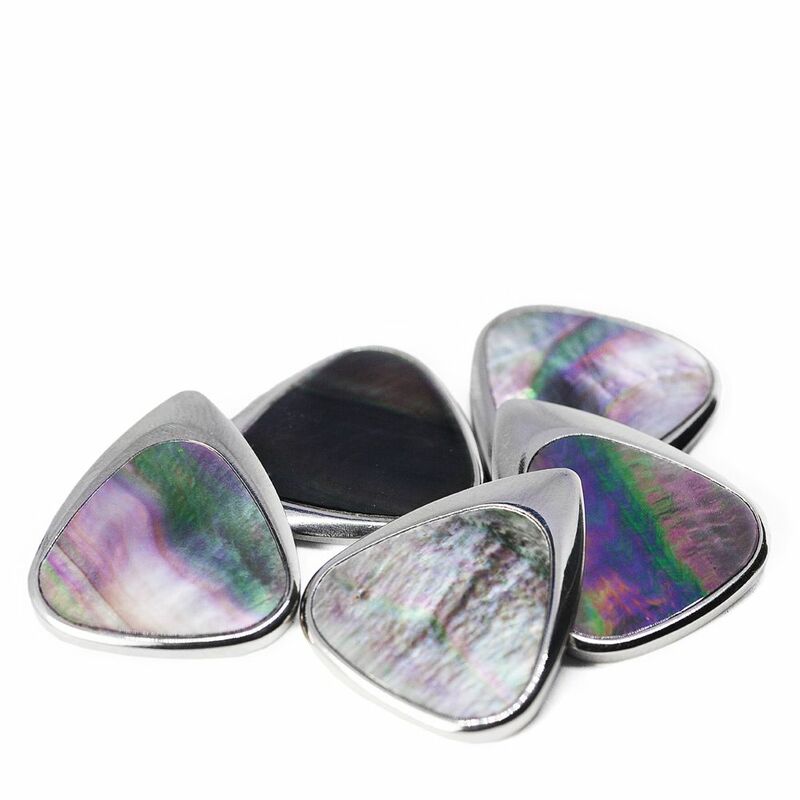 This pack contains 1 Black Mother of Pearl Inlay Tones Mini Guitar Pick.